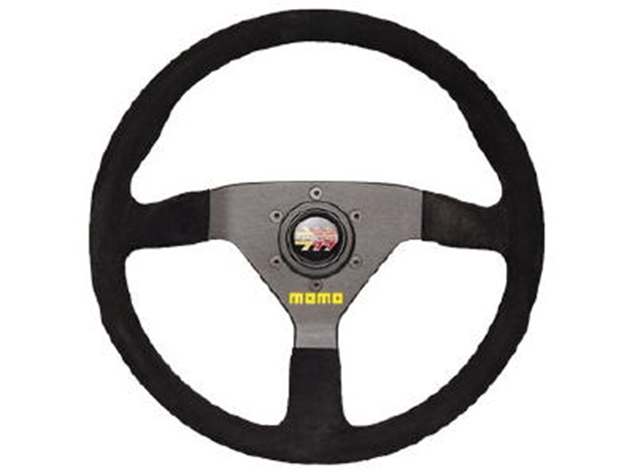 My new favorite Momo steering wheel. Very similar to the Model 78 which we have been using for years except that this one is thicker and is easier to grip with gloves on. 6 bolt to 6 bolt ultra light-weight steering wheel adaptor. 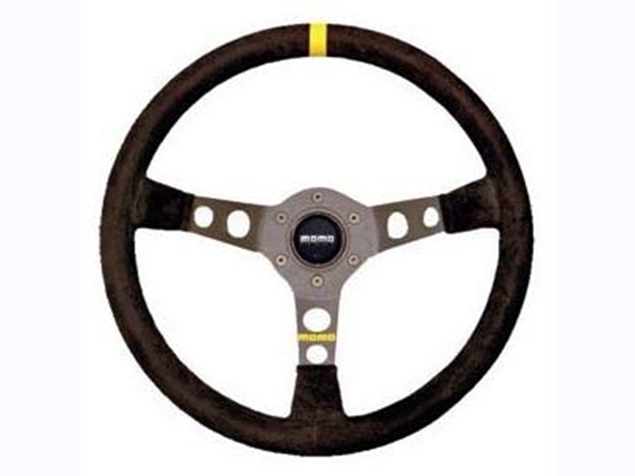 Available in 1/2" and 2 1/2" to achieve the desired spacing of the steering wheel. 350mm (13.8") Black Suede Momo steering wheel. This wheel is deep dish design wheel, so it will bring the wheel rougly 1.2" closer to you than a flat steering wheel like a Momo model 78. 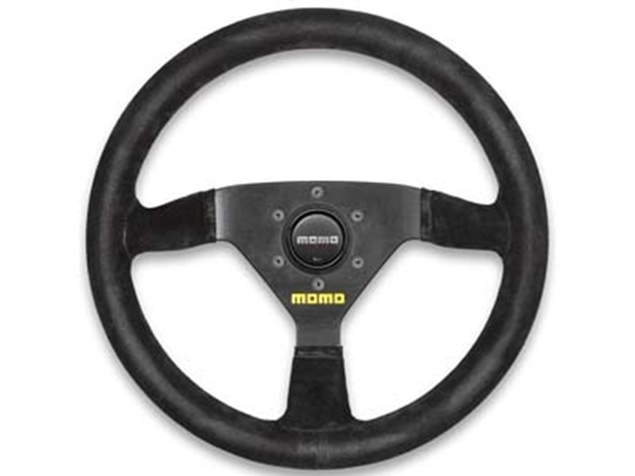 Momo model 78 350mm (13.8") steering wheel. This is the perfect size for the Miata. It is about 1" smaller in diameter than the stock steering wheel. 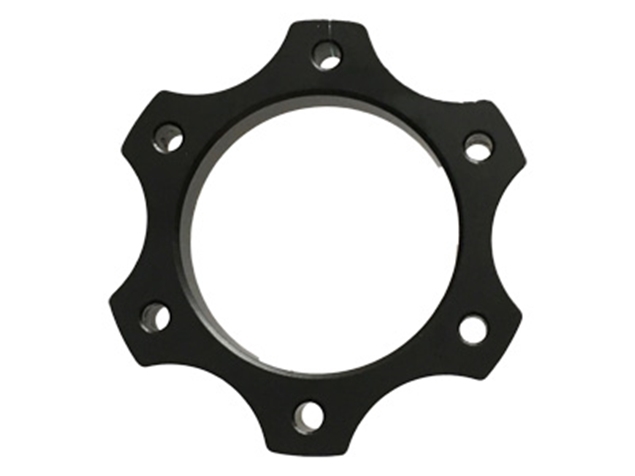 Steering Shaft Spacer - 1/2"
Steering Shaft Spacer - 2.5"